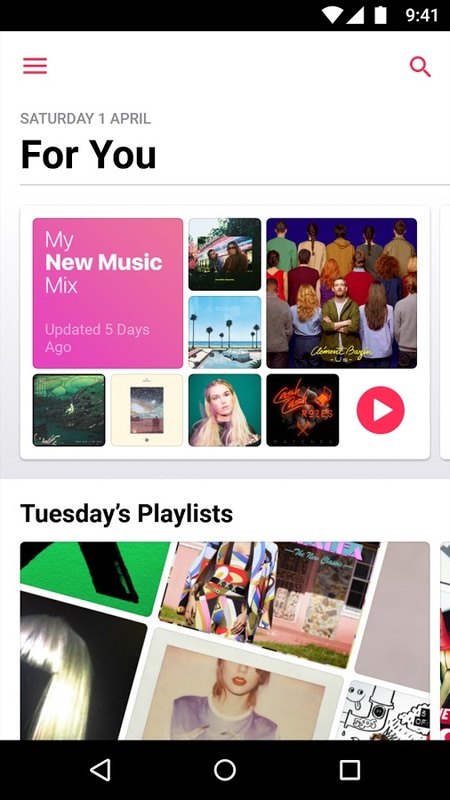 Apple Music, an app we haven’t written up in almost a year, received a big update today on Android! 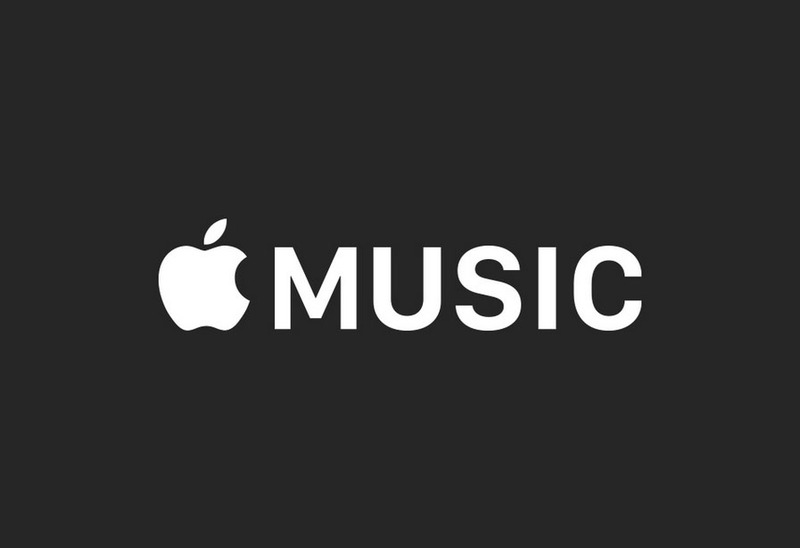 Typically, I would follow up that initial statement with jokes about Apple products being featured here on an Android site and how no one uses it and all that jazz, but the reality is that many of you may use this, should you be on a family plan or need all the Chance or Drake exclusives you can get in real-time. 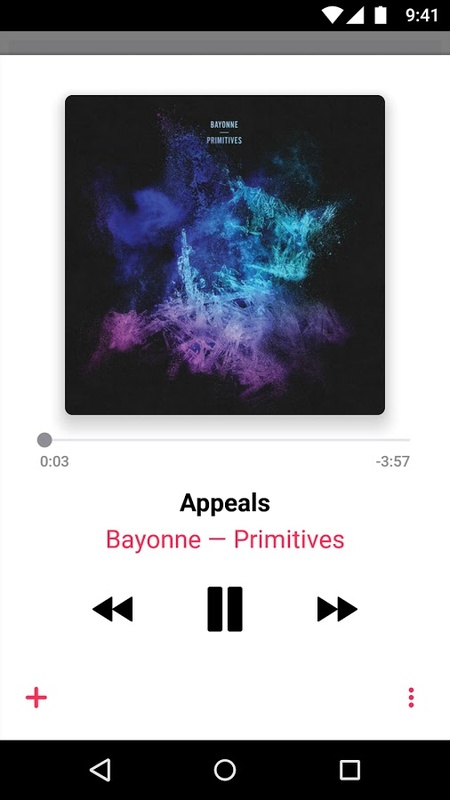 So yeah, Apple Music update! The update is v2.0.0 and features an “all-new” design with “greater clarity and simplicity.” It looks like a lot of white mixed with dots and lines of Droid Life’s pink color. Dare I say, it’s hot? 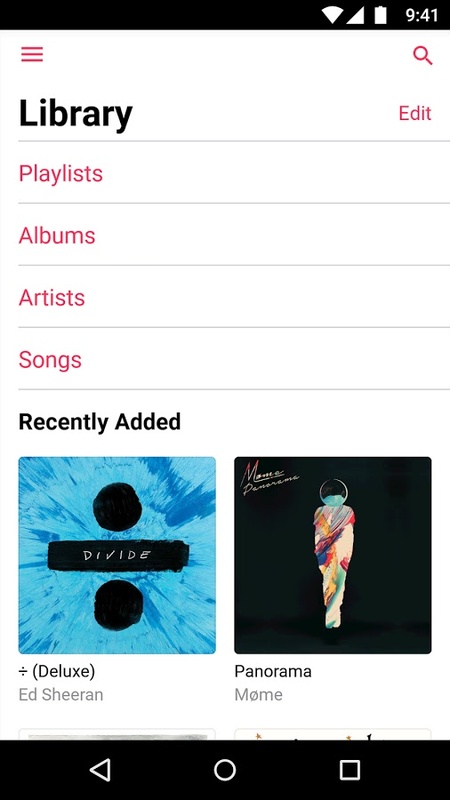 There is also new “Now Playing” feature that allows you to read lyrics as you listen to a song, a “Library” section with all of your goodies, and some other browsing tweaks and recommendation stuff.